Gearing up for Armory week in New York. I’ll have some new work at PULSE with Schroeder Romero in booth D6. PULSE has moved over to Pier 40 this year, near West Houston. 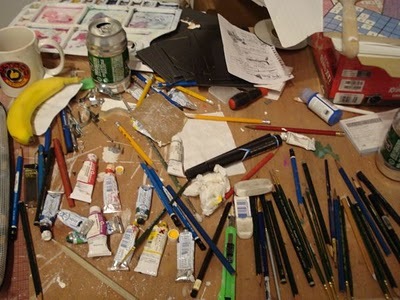 Anyway, this is where the magic happens, but I can’t show any more of my studio. It needs some serious attention now that the work is done.